These Low-Carb Cauliflower Rice Greek Chicken Bowls can be made in the slow cooker or the pressure cooker, and this is a delicious meal any time of year! Don’t you love finding a tasty recipe like Low-Carb Cauliflower Rice Greek Chicken Bowls that can be made in either the slow cooker or the pressure cooker? Some days you want to put the chicken in the slow cooker and let it fill your house with good smells all day long. Other days you need a quick chicken dinner to make after work! Either way these Low-Carb Cauliflower Rice Greek Chicken Bowls from Kalyn’s Kitchen have got you covered! 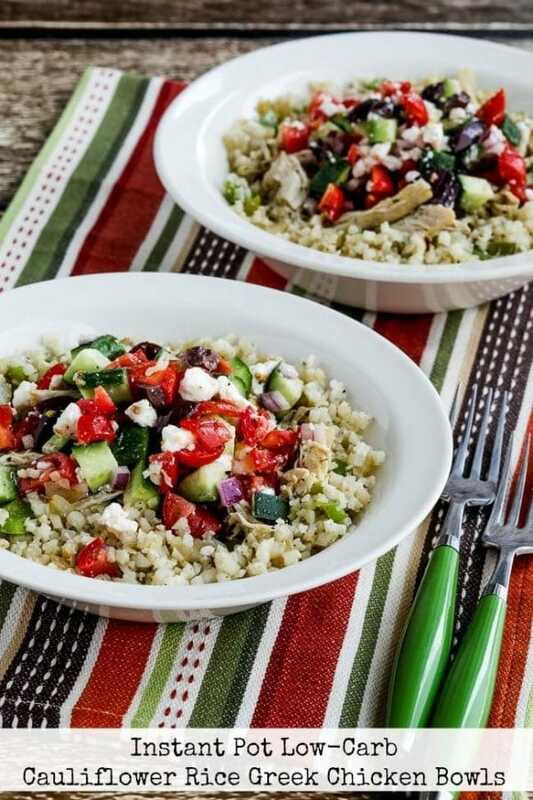 In both these recipes the tasty Greek Chicken was served over cauliflower rice and topped with a Greek Salsa, with all the flavors that make Greek Salad such a favorite. But if you want to make Greek Chicken tacos or burritos with low-carb tortillas, or just serve the tasty Greek Chicken over salad, get creative with this recipe. If you’re a Greek Chicken fan, I promise you’ll love it! Get the complete recipe for Instant Pot Low-Carb Cauliflower Rice Greek Chicken Bowl at Kalyn’s Kitchen. Or if you prefer the slow cooker, Get the complete recipe for Slow Cooker Low-Carb Cauliflower Rice Greek Chicken Bowl at Kalyn’s Kitchen. 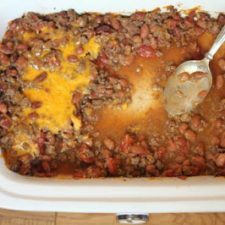 I used a Crock-Pot 3-1/2-Quart Slow Cooker for this recipe, but any 3-4 quart slow cooker will work. I used a 6-Quart Instant Pot for the pressure cooker version. Lydia, I do think you will like it in a dish with lots of seasoning like this one. Just a bowl of cauliflower rice, no, but it's a great base for other flavors. That looks so good, Kalyn! I really prefer cauli-rice to regular rice. Thanks Shirley; I love cauiflower rice as long as you spice it up a bit! BIG hug to you for noticing that, will edit right now!